Everyone has to pay taxes, but some small business owners have to pay less than others. The amount you earn will increase your tax liability. However, careful tax planning can combat this effect, reducing the amount that you owe. Tax planning is especially important for veterinarians. Not only do you have to pay your own taxes, you also have to pay taxes for your practice. Depending on the business structure you have chosen, this process can be quite complex. The accountants at Reliance Consulting, LLC are highly familiar with small business tax law. Using a variety of tactics, we can lower the amount you owe and help you avoid problems with the IRS. Contact us today to learn more about tax planning and take advantage of our knowledgeable services. Tax planning is a multi-layered process. Although tax preparation is certainly a vital component of tax planning, it is really just the first step. A solid tax plan will look ahead to the future. It will help you to reduce your tax liability in the coming years and increase your practice’s equity. Tax planning will also help you avoid critical errors that could result in complicated audits and legal fees. Along with your business taxes, we can also help you with your individual taxes. Our personal tax planning can help you manage investments, reduce estate taxes, and prepare for retirement. Although tax planning can benefit anyone, it is essential if you own a veterinary practice. Along with standard income tax, you will have to contend with several other forms of taxation. These could include self-employment tax, employment taxes, sales tax and personal property tax. The exact rules governing taxes in each of these areas will largely depend on the business entity you have chosen for your practice. Not all of these strategies will work for all businesses. Our accountants can evaluate the needs of your practice to determine whether these or other tactics may work for you. Why Choose Reliance Consulting for Your Tax Planning Needs? Because there are so many complexities in tax law, it is vital that you work with an experienced CPA. The accountants at Reliance Consulting understand both tax legislation and the needs of small business owners. Since 1984, we have helped hundreds of entrepreneurs to build and expand their businesses through tax planning and other services. We are also unique because we offer niche services for veterinarians. Thanks to our familiarity with this industry, we can guide you in the best ways to reduce your tax liability and plan for the future. 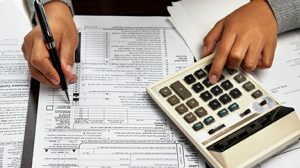 Taxes are unavoidable, but major tax headaches do not have to be. Contact our firm today to learn more about tax planning and how we can help your practice. Located in Tampa, we serve clients from the surrounding areas, including St. Petersburg, Clearwater, Manatee, Sarasota, Pasco, Lakeland, and the communities around Tampa Bay.